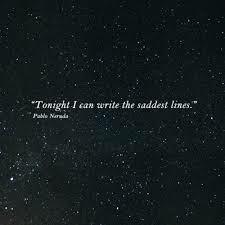 Remember Neruda’s line: tonight I can write the saddest lines? Of course, it was also Mark Forsythe’s last show, and for some reason, that had me feeling nostalgic for all the Lost Things, and for the kind of human being that restores your faith that, you know, the milk of human kindness hasn’t gone entirely sour. I would listen to BC Almanac as Mark handled all those callers (who I was writing off as morons and idiots and doddering fools) and he was always gracious, always kind, always willing to hold space for them. Never too good to take their comments. Never derisory or snarky or sneery, as it is so cool to be. 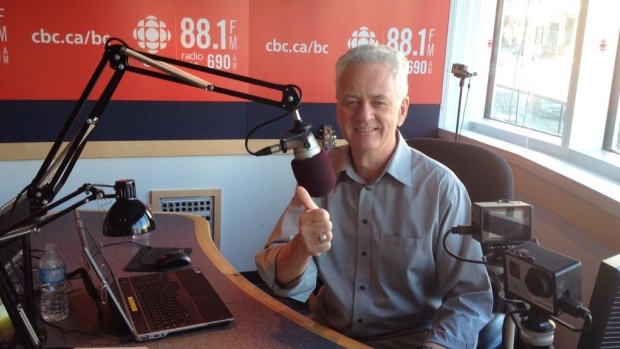 Always a serious listener, Mark Forsythe became a trusted and respected voice around the province, fairly responding to a remarkable variety of issues and personalities, eschewing self-referential asides and providing balanced views of conflicts rather than inflating them. Whereas many successful radio and television hosts are essentially selling themselves in the 21st century, making themselves into ‘personalities,’ Forsythe always epitomized the increasingly old-fashioned ideal of the broadcaster as public servant. Along the way he has produced several significant books, often in association with colleague Greg Dickson. “Welcome to radio,” he responded. I was sad when BC Almanac canned their Community Reporter component and cut the show in half. Not so much because I rued the loss of a radio gig – it had fallen so unexpectedly in my lap anyway – but because it signalled the demise of something I feel a longing for – community. Common conversations. The willingness to make folk in Pemberton and Prince Rupert and Port Alberni feel as if their stories mattered too. These days, everyone with a twitter, medium, snapchat, and instagram account is a broadcaster, collecting followers and likes and churning out quippy content and filtered photos. But as an audience, we’re splintering into tiny little niches and followings, and it’s harder to find that common touchpoint. I wouldn’t pretend to know what actually pre-empted Forsythe’s retirement, but “news” seems to have shifted in the last decade, with everything from talkback or call-in programs to expert panels on breaking stories changing into a contest as to who can yell the loudest… and I suspect my longing for a host and commentator who is as good a listener as he is articulate is just going to deepen. Thank you, Mark, for making me feel as though sharing tales of the changing of the seasons in Pemberton was truly worth paying attention to.